These dinners are an opportunity to get better acquainted with Todd and Debbie Hunter, and some of the leaders at Holy Trinity Church. The evening includes a meal together over friendly conversations to get to know others who are new to our community. 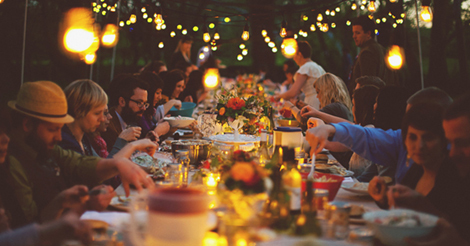 These casual dinners allow newcomers to discover what God is up to in and through Holy Trinity. ​RSVP​ please contact Vivian Brocato: 949.631.2820 or email admin@myholytrinitychurch.com.